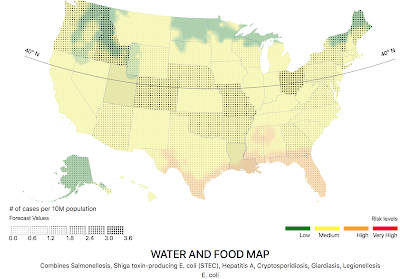 Here is the latest Food and Water-Borne Illness Map from Luminar Media and Ascel Bio as of 3pm CDT on Saturday, April 6. 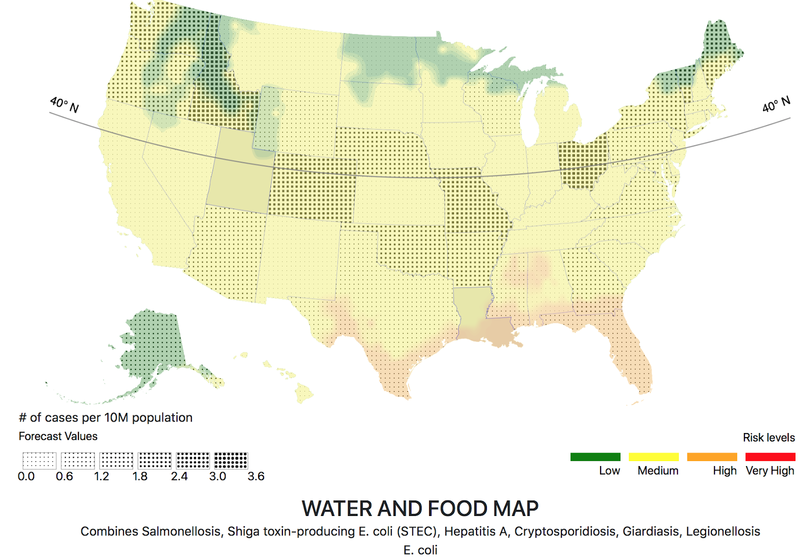 Remember, the above map is a forecast of illness risk for the next week to ten days so it will not track where the illnesses are occurring now. You can learn more about how to prevent these illnesses at DiseaseCast.com. I work with Ascel Bio because I believe the forecasting of diseases has similar potential to save lives as warnings just as warnings of extreme weather.